I always love it when the snowdrops are out in my garden. The weather might still be cold and damp, but the snowdrops tell me spring is on the way. 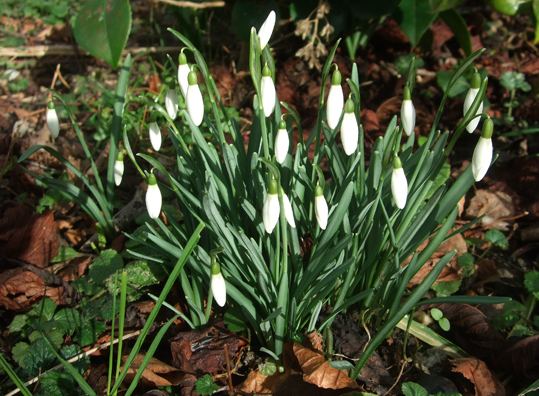 I saw the first few this year around the time of Imbolc at the start of February. Now there are clumps of them everywhere. I've photographed my garden snowdrops and posted the pictures to my blog several times over the years. I hope you don't mind yet another photo - taken yesterday in morning sunshine.